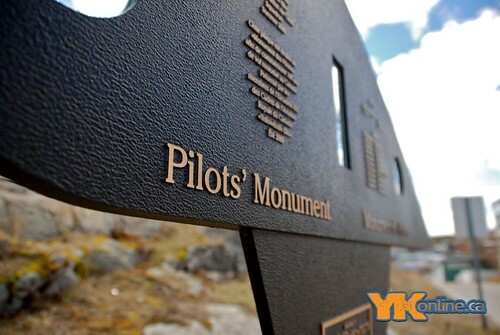 Bush Pilots Monument is a must do attraction when visiting Yellowknife. 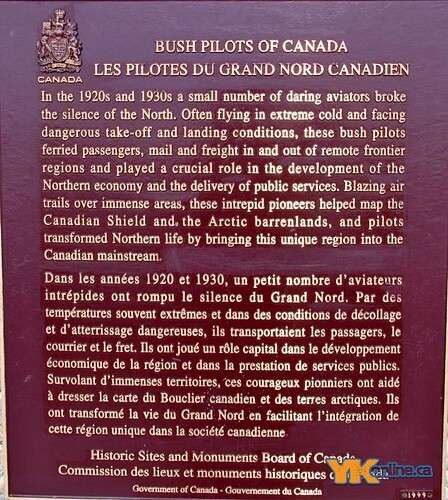 Bush Pilots Monument, or just Pilots Monument like I normally refer to it, is a local monument honoring the bush pilots of today and yesterday, who helped open up the north to the rest of Canada. 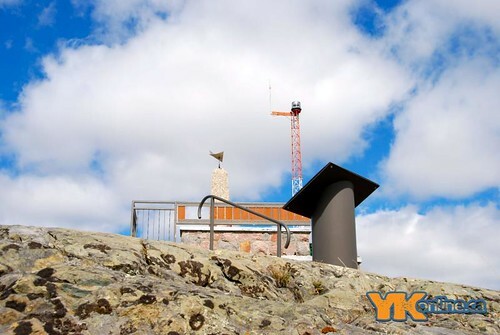 For a long time there was no road into Yellowknife and even before there even was a Yellowknife, Bush Pilots would make the trip into a vast land of nothingness searching for adventure. 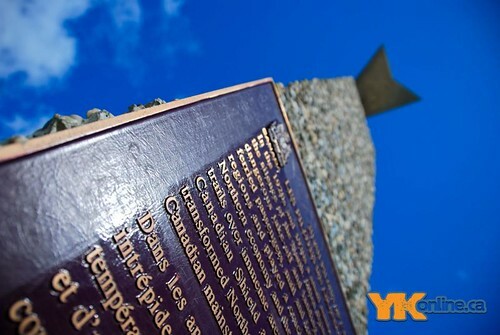 Once Yellowknife did start to grow though, bush planes became a vital source for the transportation of people, food, supplies and vehicles. 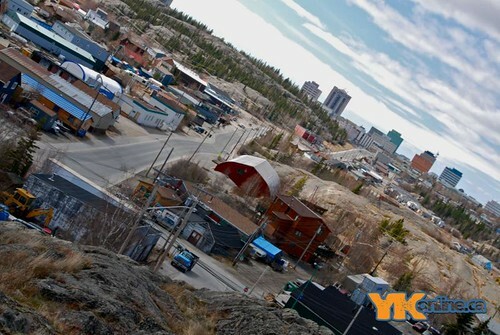 Although Yellowknife did get regular barges in the summer months, planes were available year round and are always coming and going. 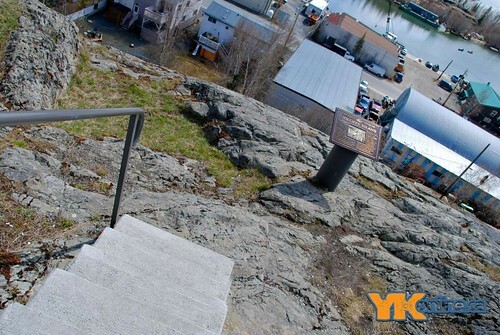 Today the monument sits up top “The Rock”, a six-story rock hill in the centre of old town. To get to the monument follow Franklin Ave down into Old Town, turn left onto Wiley Rd and the right on to Ingraham Dr, which will take you part way up the hill to the parking lot. Once you are in the parking lot, park your vehicle. A sign at the beginning of the stairs will great you, which has the name of the monument and some information about commemorating 100 years of aviation. 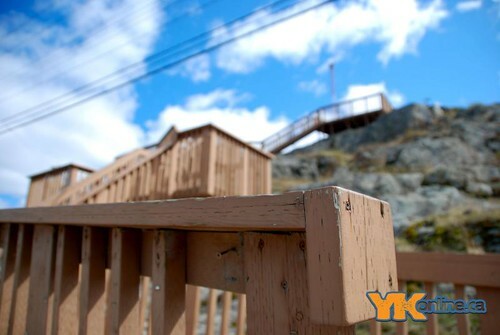 As you make your way up the stairs there are a couple different resting areas. Chances are the average person won’t need them, it only took me 30 seconds to walk up, but if you want to take your time they are there. The view is amazing on the way up as well. 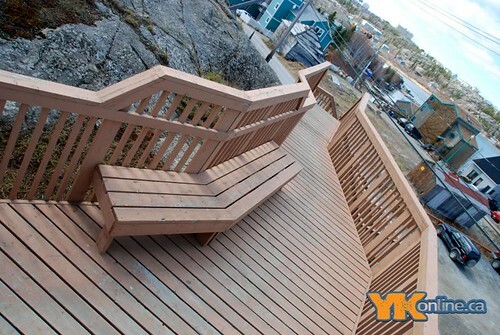 At the top of “The Rock” you will see 2 different platforms, one being the deck attached to the stairs. The other being the actual monument, which is made from concrete. The monument has a plaque explaining it significants and certification. 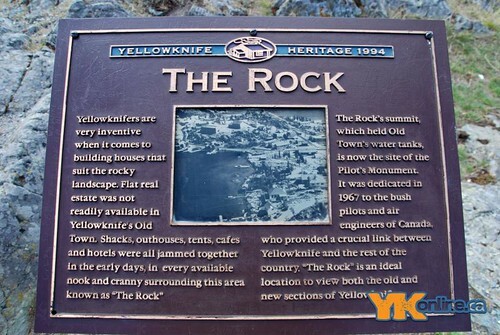 There are so other plaques at the top, one about “The Rock” itself and the other about Jolliffe Island. 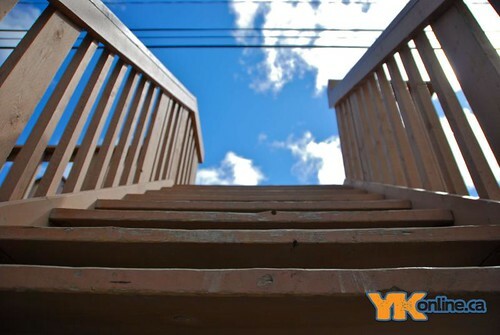 Look at the view. Look at how vast the land is and how there is really nothing out there. 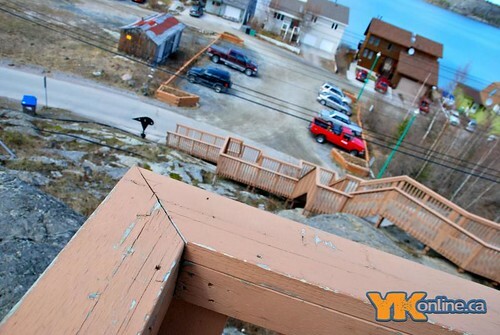 The view from the top gives you a great panorama of what is going on around the shore of Yellowknife Bay. The city skyline is also one of my favorites. This spot is popular place for landscape photos and portraits. It's also interesting to note that the strobe light on the Rock is activated by pilots about to arrive or depart East Bay and Back Bay. The light is to warn boats in the area to keep clear.